There's a reason button design snakes back 5000 years: it works! But a sewn-on round medallion is as fashionable as it is functional. Just ask the ancient Romans, 12th-century French nobility, or any colonial American. 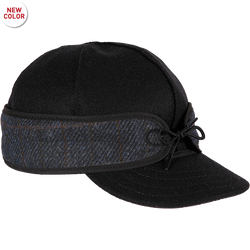 You can do a lot with a single button, such as revolutionize an iconic hat. Welcome to the Stormy Kromer® Button Up - based on millennia of good design, fresh for 2017. 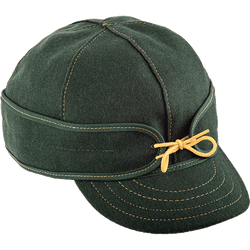 The quality that this hat is made with , it’s wonderful! 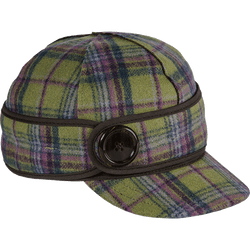 I purchased this and another hat (Ida with Hardware) based on the Stormy Kromer size recommendations and I am sad and frustrated to say that both hats were extremely small (not just the snug fit they should have) and would not fit. Now I have to deal with the cost & hassle of returning them. I LOVE my Stormy hats!! Had to cut off multiple loose strings. hat fit perfectly using the sizing chart, finally....warm ears! and I still look like a girl in this hat. love it, fast delivery! I love my new Stormy Kromer Button Up!! the fit is perfect and I love the style! The quality of my new hat is top - notch and I love that it is made in Michigan. Have been very happy with all the quality hat purchases I have made. Will keep doing business with Stormy Kromer. Keep up the great work. This is my second SK hat I've purchased... I'm in love w them! The button up one is just as adorable as all the other ones. It's simple but yet can easily be worn dressed up too. I love knowing they have a life time warranty, what an amazing company!